A smart looking white ceramic planter with bright green leaves foliage. 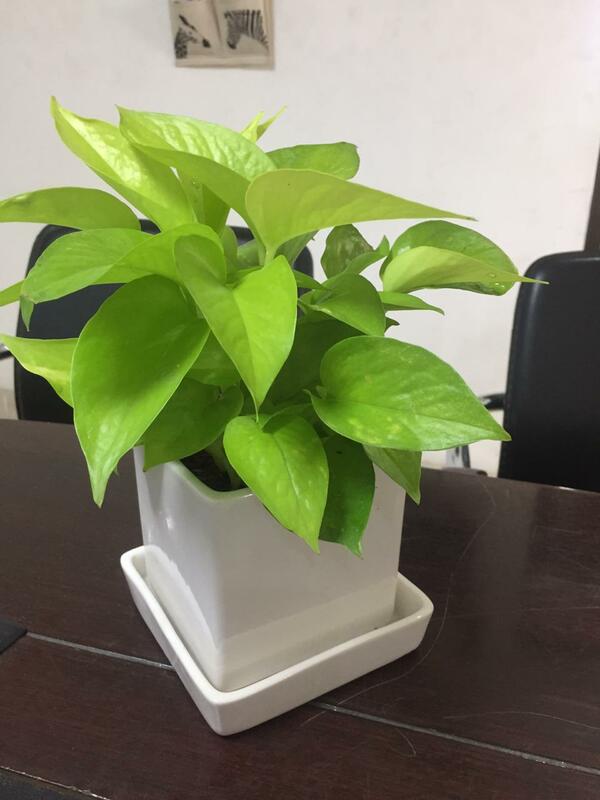 A happy go lucky plant with lot of subtle attractive feature. Its broad leaves keep the planter with dense foliage and its low diet plant which means less on water, less on minerals. Make sure to change the soil once in a year or two. The leaves may need pruning once in while.